The Department was born on 11.1.1864 with a complement of five officers-Major Hunter as Conservator with four assistants, Lt. G.J. Van Somersen, Lt. E.W.C.H. Miller, Mr. C.A. Dobbs all Assistant Conservators and Mr. Madhava Rao, Sub-Assistant Conservator. 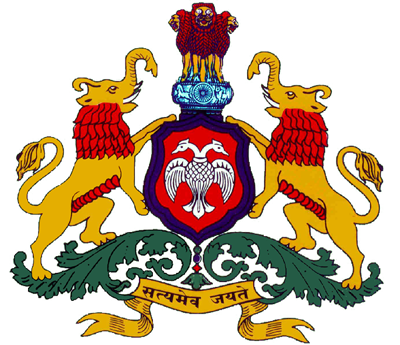 This beginning was made during a period crowded with events which shaped the modern history of Mysuru. 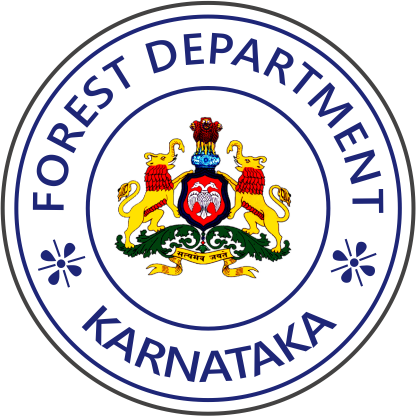 During 1886 Mr. L. Rickets was appointed Inspector General of Forests in Mysuru. The new Inspector General began with a reorganisation of the Department, the Deputy Commissioner being made responsible for the forest administration of the Districts and for this purpose provided with a small establishment of Rangers, foresters and Watchers. Mr. M.A. Muthanna was appointed Conservator of Forests and Ex-officio Secretary to Government from 1.11.1900. Shortly thereafter Mr. Muthanna became the head of the Department after retirement of Mr. Pigot in 1901. Mr. Muthanna held the stewardship of the Department for an unusually long spell for over 12 years and after his retirement in 1913, Mr. M.G. Rama Rao succeeded him in 1914. This coincided with the outbreak of the First World War, which had a terrific impact on Mysuru Forest economy by cutting off the traditional export markets for sandalwood, Out of the 1313 tonnes of sandalwood offered for sale in 1914-15, not more than 70 tonnes could be sold. The Government decided to open their own factory for distillation of the wood. A factory in Bengaluru and later, a bigger unit in Mysuru proved highly successful. This was an important event since when the sale of Mysuru Sandalwood for distillation has ceased. Mr. B.V. Rama Iyengar succeeded Mr. M.G. Rama Rao as Conservator in 1921. He has the largest spell of any officer in the history of the Department as its Head, retiring in 1935 after more than 14 Years. The post of Conservator was created, the designation of the head of the Department being consequently change to Chief Conservator. There was also noticeable shift of emphasis from the purely administrative to the Scientific work for the development of the forests. Mr. M. Machaya succeeded Mr. Rama Iyengar as Chief Conservator in 1935. In 1939, a few weeks before the outbreak of the Second World War, Mr. C. Abdul Jabbar succeeded Mr. Machaya as Chief Conservator. Mr. Jabbar’s term of office was practically coterminus with the war, he retiring in 1945. During the decade 1946-56, the Department grew from strength to strength, expanding both in activities and income. A Silviculturist was appointed for the first time. A State Soil Conservation Board was set up and the Sandal Spike committee was revived. And, at about the end of 1956, the Central Government took over the Forest Research Laboratory to be developed as a regional Centre of Forest Research in the South.